Are you ready to take the first step to a happier, healthier you? Welcome! We’re looking forward to meeting you. If you will be coming to visit us for the first time, we ask that you take a moment to complete the necessary forms and print them out for your scheduled appointment. We work very hard to make sure all of our appointments start on time. Having your paperwork complete before you come in will help us do that. Take a moment to review the forms below. If you have any questions, don’t hesitate to contact our office. We’ll be happy to assist you! Expect to spend 60-90 minutes at your initial consultation including check out time. 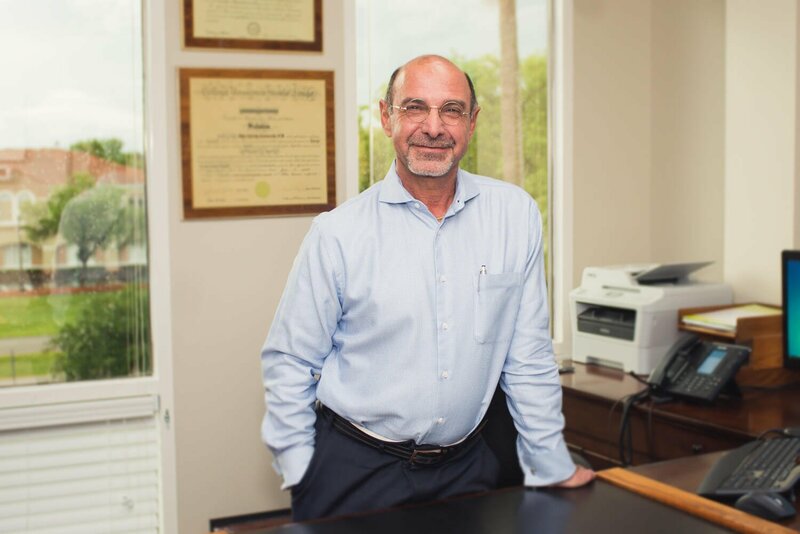 During this time, Dr. Carrozzella will go over with you the intake forms you filled out prior to your visit to get a better understand about you and your medical history. All labs you bring with you will be reviewed, as well as any medications/supplements you already are prescribed. A personalized treatment plan will often involve further lab testing with either functional medicine labs or a conventional blood draw. Functional and hormonal medicine consultation services may or may not be covered by your insurance plan. Please check with your insurance prior to your visit. Our office will provide you with a superbill to submit to your insurance company for reimbursement, but we do not bill your insurance directly. Your insurance typically considers us an “out of network provider.” The Florida Center for Hormones and Wellness is not a participating provider in Medicare or Medicaid. Payment is due at the time of service. Prior to your first visit, we will ask you to get some routine lab tests. It is possible your insurance will cover these tests. You can get your blood drawn in our office and we will send it to the lab your insurance prefers. Or we can provide you with a lab order and you can go directly to the lab. Not all insurance covers all blood tests. We highly encourage you to check with your insurance prior to assuming your insurance will cover it. If your insurance does not cover the labs, the cost can be quite high. If you do not have insurance or your insurance will not cover your blood work, we offer affordable cash prices for labs. Please contact your Patient Liaison to find out more. It is our goal to protect you from expensive lab bills. We can help before you get the labs. Unfortunately, once you get labs done, if insurance doesn’t cover it, there is not much we can do. Please be prepared. In the event you are unable to keep your appointment, we request a 24-hour notice that so that we can accommodate other patients waiting for appointments. We understand unforeseen circumstances arise, but you may be charged a fee for missed appointments at the discretion of the practice. ▸ There seems to be a lot of paperwork, why is that? Like most doctors’ offices, Florida Center for Hormones and Wellness has new patient paperwork. Ours is longer than most. To make sure we understand everything that factors into your hormone health, we ask questions that help to explain your overall health, diet, sleep and exercise regime. As you journey to better health, we will ask you to complete surveys at each appointment so that we can monitor your progress in all areas from sleep, weight, energy level, sexual desire and clarity of mind. Often the changes you feel are gradual and it is important for the doctor to be able to see the progress you have made over time to insure you are getting the proper care and the results you desire. ▸ What happens if I do not complete my New Patient Paperwork prior to my visit? We ask that you complete all the new patient paperwork and send it to our office prior to the visit. This gives the doctor time to review your responses before you come in. If the paperwork is not complete at your initial consultation, we will do our best to accommodate you. If the schedule allows, we can give you the paperwork and you can complete it in our office. However, in some cases, we will need to reschedule your appointment because we won’t have the ability to give you the full appointment without impacting other patients. Best bet is to complete the paperwork before you come in for that initial consultation. ▸ Do I have to get blood work before I come in for my initial consultation? The short answer is yes, but in some circumstances we can work with you. If you have had blood work done recently (within a few months of your appointment), you can send the results to your Patient Liaison, who will find out if it has all the tests we need. If it does have all the tests we need, we can use that. In some cases, we can take your blood the day you start treatment for a baseline, but you must have that approved by your Patient Liaison first. In most cases we recommend that you get your blood work completed one week prior to your initial consultation. ▸ What will happen at my first appointment? Your initial consult will be one hour, and we will have you do some blood work prior to the appointment. During this time, you will visit with the doctor and share how you have been feeling and your reasons for coming into the office. You will get a recommendation for treatment based on the results of your blood work and the description of your symptoms. We believe in treating the person not the number, meaning that blood work will be done for reference, but your recommendation will be driven largely based your description of how you are feeling. For this reason, we encourage complete openness. If you wish to begin your treatment, you will be able to do so that day. ▸ What if I don’t know anything about bio-identical hormones? Will my questions be answered? Absolutely! We will answer all your questions at your initial consultation. We also encourage our patients to attend a Patient Orientation just prior to their consultation. Patient Orientations are offered twice a month. During the orientation, the doctor will explain what bio-identical hormones are, why they are medically necessary, and how they contribute to the longevity and quality of your life. At the orientation we also describe the other treatments we offer for sexual and overall wellness. This is not a sales session. It is an educational session designed to teach you about your treatment options, so you have more time during your consultation to discuss issues specifically about you! Check out the events calendar for the next Patient Orientation, and please sign up! ▸ How much does treatment cost? Cost depends on the treatment that is prescribed. We offer solutions for hormone health, sexual wellness, metabolic concerns, and a few aesthetic services. You can choose between a la carte pricing and our membership plan pricing. Membership plan pricing means that we calculate all the treatments you will be getting over a year and we divide the total into 12 monthly payments. The membership option can make it more affordable for you to get the treatments you need without having to come up with all of the costs at once. ▸ If I do the monthly membership plan, does that include monthly appointments? Office appointments are usually scheduled about 3 – 4 times per year. Phone appointments to review lab results are scheduled about 3 -4 times a year in the first year and less frequently in subsequent years. Patients on membership plans are welcome to schedule appointments to speak to the doctor as needed if issues arise. Payments are made monthly as a convenience and do not correlate with appointments. If you choose a membership plan, we will ask for a credit card that will be charged each month on a specific day using a secure third-party application that stores the card. No credit card numbers are kept in the office. ▸ If I get on a membership plan, am I locked in? Taking advantage of the membership plan does not lock you into a contract. If you are on a membership plan and want to cancel for any reason, we ask that you do two things: 1) provide written notification of your intent to cancel 30 days prior to the cancellation date, and 2) participate in an exit appointment with the doctor so we can make sure that you are being taken care as you move forward. No refunds are given upon cancellation, and you will not be asked for any additional money after your 30-day written notice. ▸ Can I cancel if I have paid in full for my annual treatment? If you have paid for your annual treatment in full and you wish to cancel prior to receiving all your treatment, you will get a refund. We ask that you follow the same cancellation policy as membership plans; provide a 30 day written notice and participate in an exit appointment with the doctor so we can be sure that you are well taken care of. Your refund will be processed by your Patient Liaison, who will identify the services you have received and convert those to our a la carte pricing. Then, your total paid will be subtracted from the treatments you received, and you will be reimbursed for the remainder. Book a consult to see if Hormone Optimization is right for you. New Patient Orientation is NOW every two weeks! Sign up on the Events page and let's start becoming the best you!